Millar Chiropractic Clinics purchased this clinic in 2008 and changed the name to Millar Chiropractic - Huntsville AL (Jones Valley) or Millar Chiropractic Jones Valley. We are still located in the shopping center next to Bruster's and beside Victoria Nails in Jones Valley. Over 4000 of your Huntsville friends and neighbors have chosen us for their chiropractic care over the years. We are committed to providing the chiropractic excellence to every patient. Millar Chiropractic - Huntsville AL (Jones Valley) or as our patients like to call us Millar Chiropractic Jones Valley is your complete spine care center. We often call ourselves Spine Chiropractic. We offer complete spine treatment including chiropractic adjustments, chiropractic alignment, chiropractic decompression, physiotherapy, complete rehab, exercises, massage, soft tissue and and muscle work. We like to say, "Millar's Got Your Back", so think of us as spine chiropractic. Millar Chiropractic - Huntsville AL (Jones Valley) also specializes in Complete Rehab of Shoulders, Hips, Knees, Ankles and Feet and Carpal Tunnel hands. We use chiropractic adjustments, lasers, traction, e-stim, ultra sound, diatherapy, exercise and soft tissue techniques to treat sore or painful joints. Dr Millar pioneered the AARP - Advanced Arthritis ReBuilder Protocol for treating arthritic knees, ankles, feet, wrist and elbows. After practicing for 5 years at the Millar Chiropractic Jones Valley clinic Dr Millar decided to recruit a top chiropractor and so he brought Dr. Jessica Davis, Chiropractor to Huntsville. Dr Jessica, as she likes to be called, was one of the top recruits in the nation graduating from Palmer Chiropractic College Davenport Ia. She brings that new training new techniques to Millar Chiropractic. She adjust both manually and by instrument. She uses Thompson, and Activator techniques. Dr Jessica is fond of saying "You need many technique tools in your spine care toolbox." Dr. Jessica chooses the best technique for that patient to get optimal results. Along with that Knowhow Millar Chiropractic - Huntsville AL (Jones Valley) has "State of the Art" equipment like Chiropractic Decompression Traction, Lasers, Disc Pump, and more. 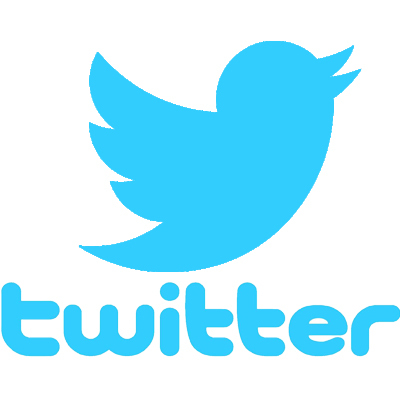 Added to this is a great compassionate caring staff that listens and cares about its patients. We call that having a "Heart for Care." Millar Chiropractic - Madison AL is a proud member of ChiroTrust. ChiroTrust is a group of over 5000 Doctors of Chiropractic worldwide have pledged to provide conservative, mainstream chiropractic care to patients without sales pressure, unnecessary therapies or excessive cost. Members take the ChiroTrust Pledge of NO Long Term Contracts for care. We do not sell 1 year contracts. If you condition needs 3 visits or 20 visits then that is what you need and and that's what you get, nothing more. We pledge YOUR care will have a start date and an end date with no care for life commitment. 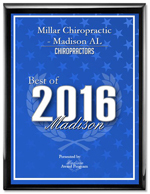 Millar Chiropractic - Huntsville AL has received the Best of Huntsville, Chiropractor award for 2015, and 2016. Wow. 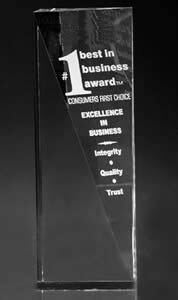 Millar Chiropractic Clinics received the #1 Best in Business Chiropractor Award for five years 2011-2015. But our biggest award is the many cards, letters and plate after plate of goodies from you all saying "Thank You." We want to be your Chiropractor Huntsville AL. We strive hard to provide our patients with "Chiropractic Excellence." Everyone deserves a good doctor. In fact at the Jones Valley chiropractic clinic we say you need a Medical Doctor and a Chiropractic Doctor. You need a Medical Doctor for in sickness and a Chiropractic Doctor for in health. WE are honored to be your chiropractor Huntsville Alabama. We will work with your medical doctor to give you the best team possible. Millar Chiropractic - Huntsville AL and Dr Greg Millar are a proud members of the UAB Neurosurgery Dept Chiropractic Care Team. We work with the UAB neurosurgery and UAB neurology to provide continuing care for those serious patients that need more than a chiropractor. Millar Chiropractic - Huntsville AL (Jones Valley) has taken the ChiroTrust pledge and is a ChiroTrust member in good standing. Chiropractic Society of Alabama-Dr Greg Millar DC CCEP and Dr Jessica Davis DC are members of the Chiropractic Society of Alabama.